Before getting down to interior design of a kid’s room we should be aware that the best expert in this sphere is…the kid. 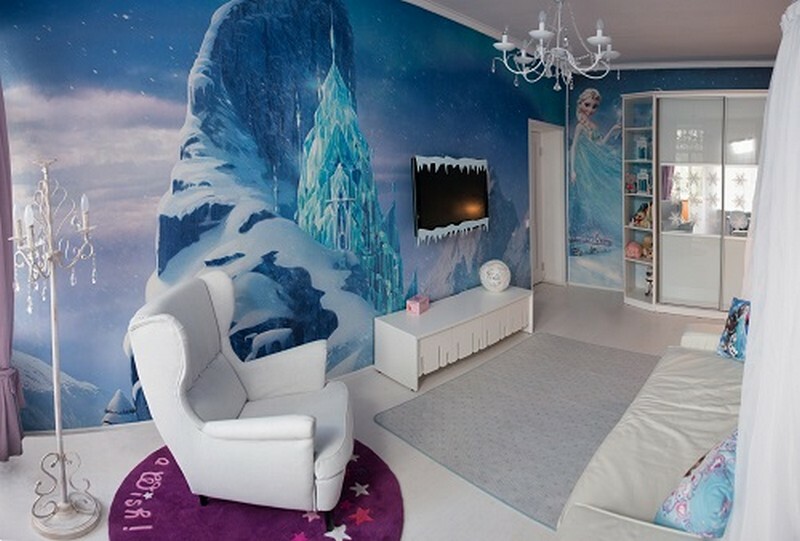 Every child knows exactly how his or her dream bedroom should look like. Of course, we mean the choice of style and theme, since most kids do not pay much attention to such “trivial” details as functionality, storage and so on. So, our task is to listen carefully and find ways to make our kids’ fantasies come true in a space, which would be comfortable, functional and inspiring for a toddler. 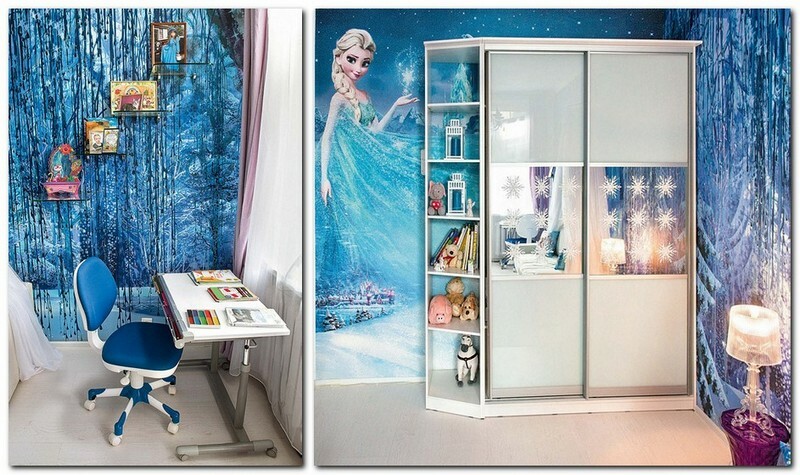 Today we’d like to show you a kid’s room interior that participated in a popular TV show. The basic idea behind this show is that a kid invents a concept of his or her dream room and a qualified designer implements it. 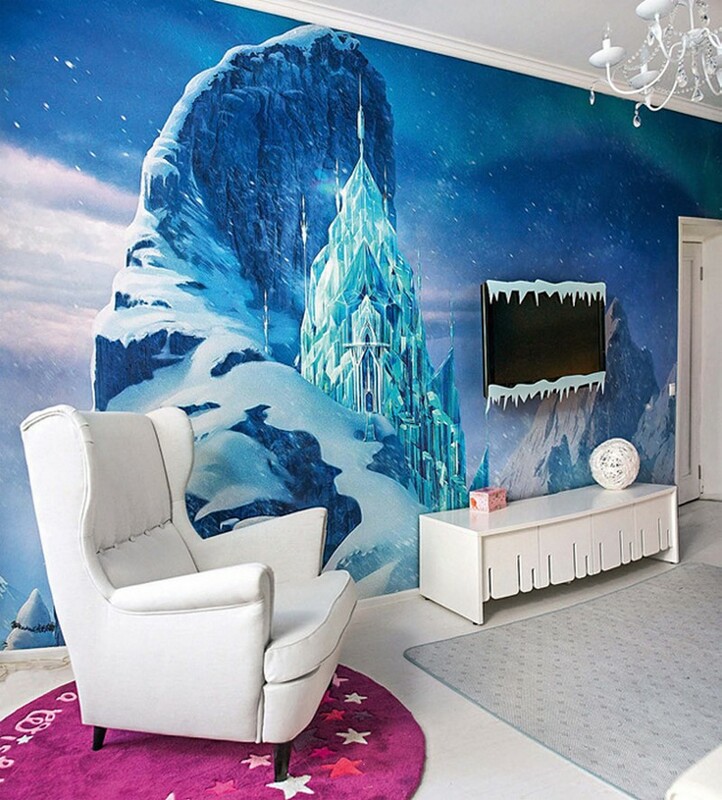 The starting point of this bedroom was the iconic Walt Disney’s cartoon “Frozen”. 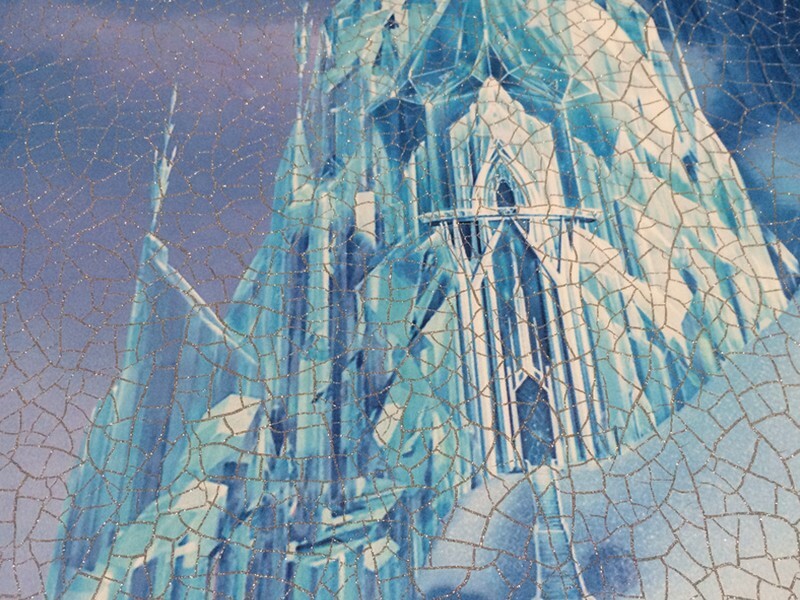 The young mistress of this room wished her private space to resemble an ice palace, which belonged to Queen Elsa in the movie. 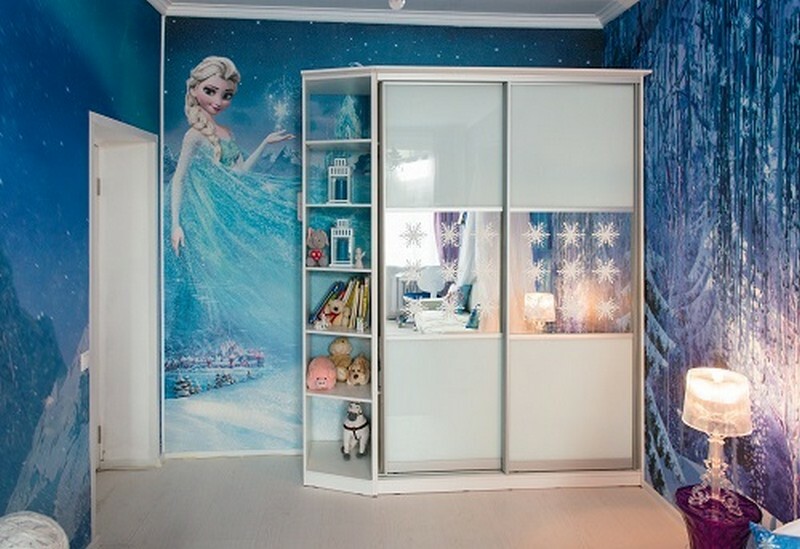 For a start of the “frozen” atmosphere the author of the project decided on wall, floor and ceiling finishes: it was determined to decorate the wall with multi-colored wall murals featuring the characters of the beloved fairy-tale. The furnishing was also picked from the “snowy” color range, and so that the young lady felt like a real princess, her sofa (that plays the role of a bed as well) was dressed up with a canopy from light sheer curtains. 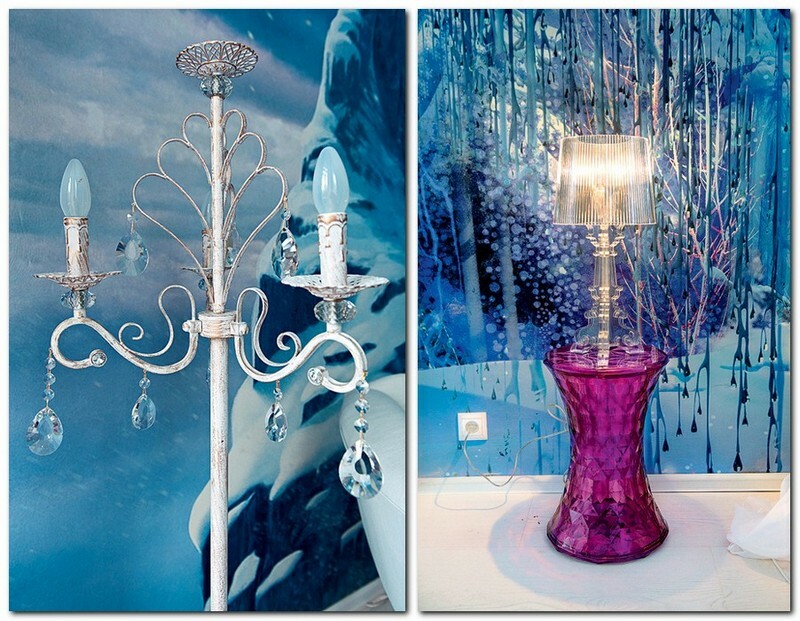 Everything in this interior is penetrated with the spirit of frost, including the lighting: a chandelier and a floor lamp are decorated with crystal pendants reminding of frozen water crystals, and a table lamp in transparent plastics resembles an ice sculpture. 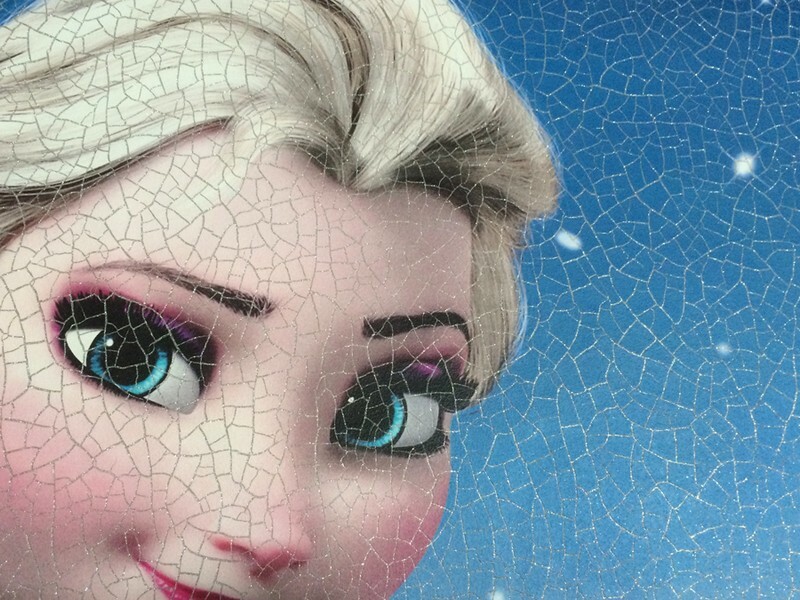 A TV-set is framed with plastic décor, which looks like an ice garland. A matching motif is found in the design of a cabinet below the screen. The wall beside a writing desk was complemented with a few tempered glass shelves with rounded angles, where the young princess may display her photos, handmades and other girl’s stuff. 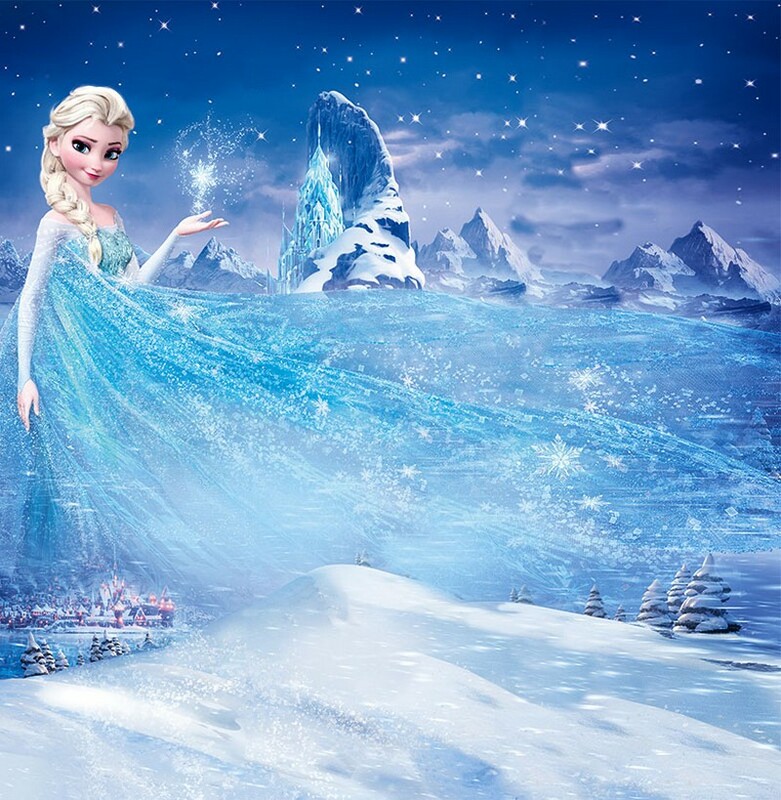 As for the wardrobe, it also has a touch of winter kingdom – its sliding doors are decorated with vinyl snowflake stickers.